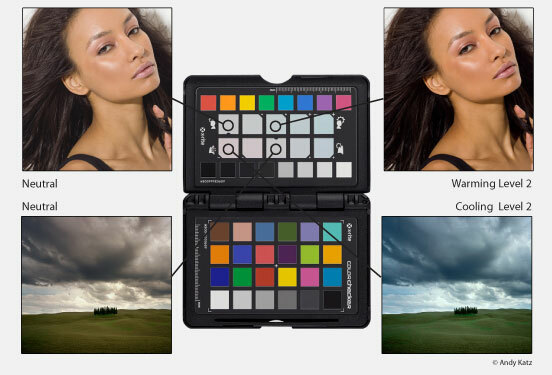 ColorChecker Passport is a powerful 'capture to edit' color solution for any photographer looking for more accurate, consistent color and creative flexibility. And when you combine ColorChecker Passport with Adobe® Imaging solutions you'll gain even greater benefits. ColorChecker Passport combines three photographic targets into one pocket size protective, self-standing case that adjusts to any scene. Together with the included camera calibration software, you get the ultimate in functionality, flexibility and portability. There are so many ways to incorporate X-Rite ColorChecker Passport into your Raw workflow. Whether you take advantage of the entire solution, or just a couple of ColorChecker Passport's many features, you'll realize improved quality and productivity almost immediately. A Color-Managed Workflow that Inspires Creativity ColorChecker Passport offers you an unparalleled tool to attain full color control and customized creative enhancement from image capture to post-processing. The art of color management is all about getting your colors to match from input to output. That means your camera captures true colors, your monitor displays them accurately, and your printer produces a photo that matches what you see on screen. The ColorChecker Passport is an essential component to attaining a 100% color-managed workflow. Plus, the included Enhancement target helps you take your vision one step further by providing the creativity to quickly and easily edit and express your colors just as you’ve always imagined. Whether it’s a studio shot, a colorful nature scene or a multiple photo event, you can extend the power of your photo editing software with one-click enhancements that articulate your inspiration. Starting with an accurate white balance ensures the colors you capture are true and provides a point of reference for post-shoot editing. The ColorChecker White Balance target is an all-new spectrally flat target that provides a neutral reference point across different lighting conditions that you encounter during a photo shoot. Since the target reflects light equally across the visible spectrum, creating an in-camera custom white balance can properly compensate for varying lighting. The all-new Enhancement Target provides a higher level of color creativity and control to your workflow. The Enhancement target includes four rows of color patches designed for image editing with just the click of an eyedropper. Whether it’s a studio shot, a colorful landscape or a multiple scene photo event, you can extend the power of your photo editing software in virtually any Raw processing software. Two rows of warming and cooling patches in the middle guide you to create pleasing and repeatable edits. Creatively refine the color of your image by adding warmth to skin tones or boost the deep greens or blues in a landscape. Simply click through the patches to view the adjustment, and select the one that provides your optimal look. Then, save the setting and apply it to other images that were shot under that same lighting to create pleasing edits – it’s that easy! Photographing the industry standard ColorChecker Classic is an important step in attaining consistent, predictable color at capture.The ColorChecker Passport includes a travel-sized version of the Classic 24 patch target. When combined with camera calibration software you can produce DNG profiles of your camera’s response to scene lighting to get consistent, predictable and repeatable results from image to image and camera to camera. Build custom DNG profiles with the ColorChecker Classic Target, the industry standard 24-patch ColorChecker. 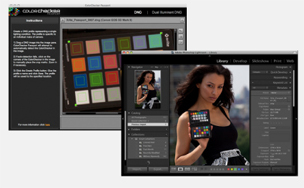 With the included ColorChecker Passport Camera Calibration Application and Lightroom® Plug-In, you can quickly and easily build DNG profiles for Adobe® Imaging solutions including Lightroom®, Photoshop®, Photoshop® Elements, Camera Raw (ACR) and Adobe® Bridge. This new advanced profiling technology provides excellent results with just the small 24-patch ColorChecker Classic target, producing DNG profiles that work exceptionally well, even in unusual artificial light sources. Plus, software auto-detection will locate the target automatically. Whether you are shooting with just one camera or multiple cameras, you’ll easily establish an accurate color foundation and maintain control of your colors. ColorChecker Passport is so convenient and portable. Make sure you take it with you to every shoot! The ColorChecker Passport’s travel-sized case provides the ultimate in convenience. Made of a rugged material, it houses and protects the three ColorChecker targets from the elements and daily use to extend their lifespan. The Passport case is adjusts to multiple positions to self-stand, allowing you the flexibility to place the targets exactly where you need them. Whether you need a single shot of the White Balance target, a 90-degree shot of the Classic or Enhancement target, or a parallel shot of them together, the Passport case can be perfectly positioned. DNG ProfileManager Software – provides a single list of all installed DNG profiles, including non-printing image data such as file name, camera, light-source(s), and creation date. It also filters by camera or it can sort by any column header to provide the ability to correctly rename profiles (both internal and external names). Users can easily enable/disable profiles to prevent profile overload in Lightroom and Adobe Camera Raw (ACR) and quickly collect and export DNG profiles for backup or distribution. (Separate download found under Support).